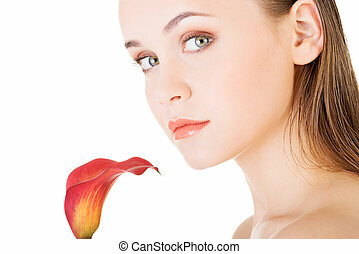 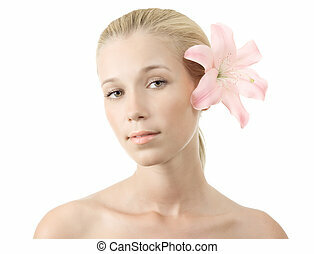 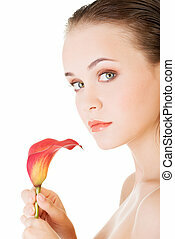 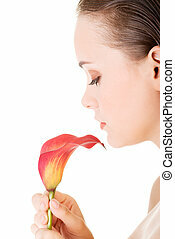 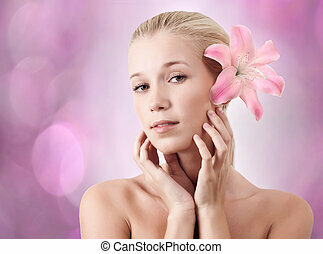 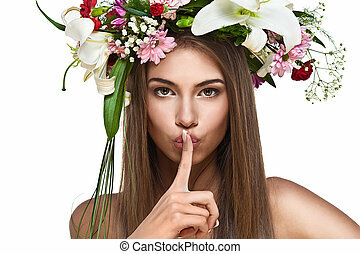 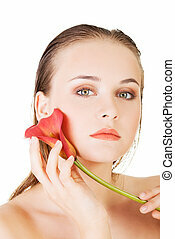 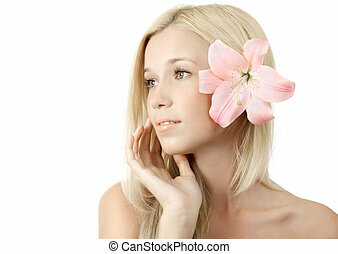 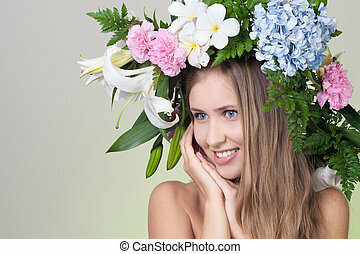 Beauty face of the young beautiful woman with flower. 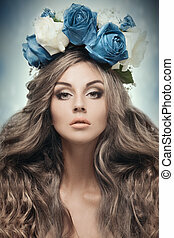 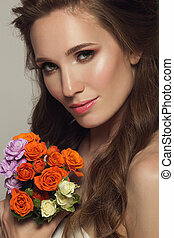 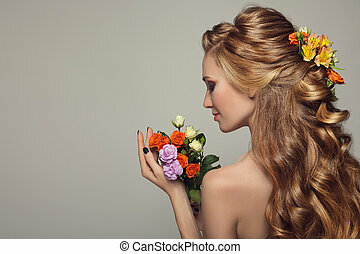 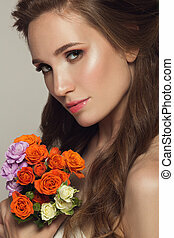 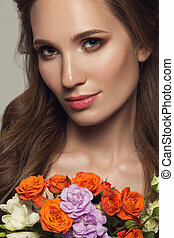 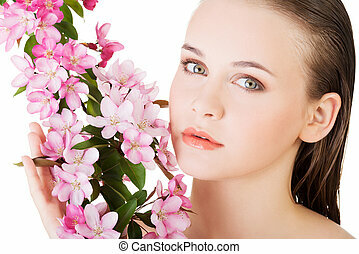 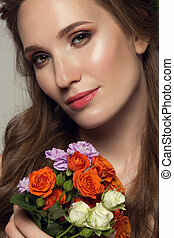 Close up portrait of young beautiful woman with flowers. 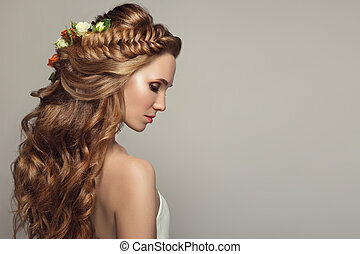 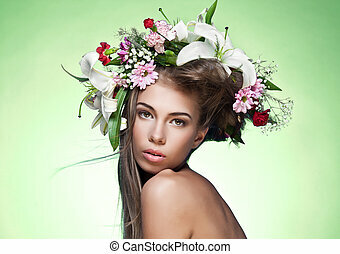 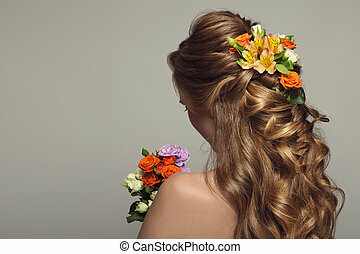 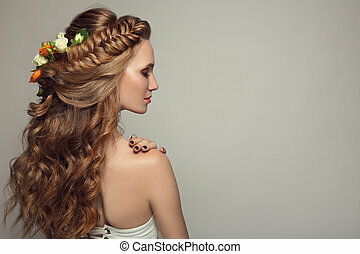 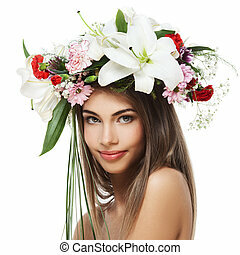 Beautiful Woman With Flower Wreath.